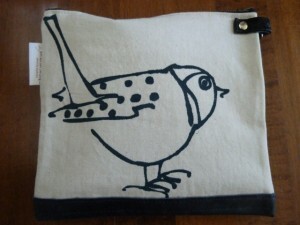 Welcome to the Birdbrain blog. This is a big step for me. I’ve posted two birds to welcome you. 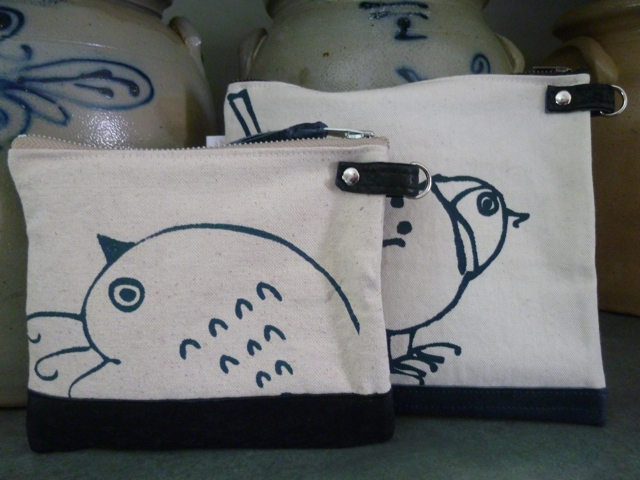 Both pouches are silkscreened and made of canvas and leather.